Recently, a friend, Jordi, asked me for some ideas of how to make a curly hair and, so, I decided to make this tutorial, because it would be easier to explain and, besides, I think that it may help some people. You might be asking yourself why you need to crochet those rounds. 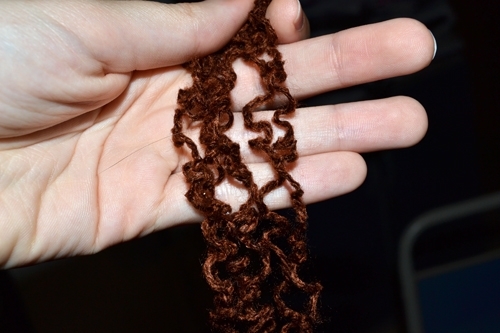 Well, it is necessary, because they will bend the yarn, so, when you use the iron on it, the iron will fix those bends, which are going to make the yarn looks like a curly hair :D Because of that, it is very important to crochet very tight. 2. 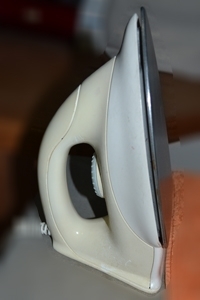 Now, turn on the iron in the right temperature for wool. 3.Then, pick up the rounds and submerge it on the water for 6 seconds. 4. After that, put the rounds on the ironing table and pass the iron on it. 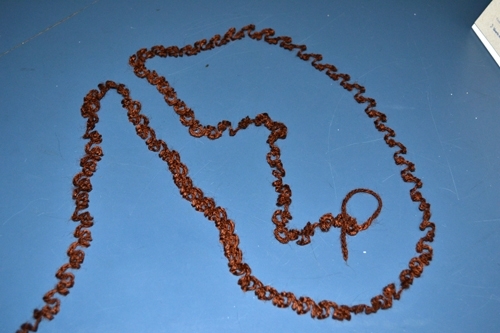 I recommend you to let the iron 2 seconds and take it out for one second, then repeat it again for 3 times and change the side of the rounds to repeat the same thing. 5. After that, submerge the rounds again on the water for 5 seconds. 6. 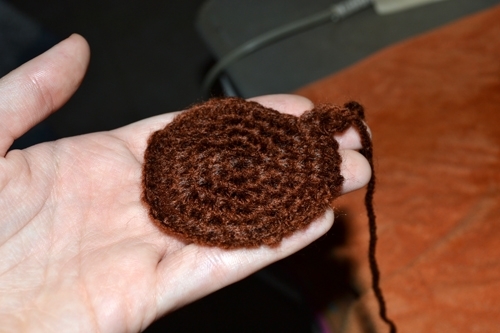 Repeat the 4th step, until the crochet is almost dry. In the end, the rounds will be flattened. There you are, now you have a curly hair for your doll!! 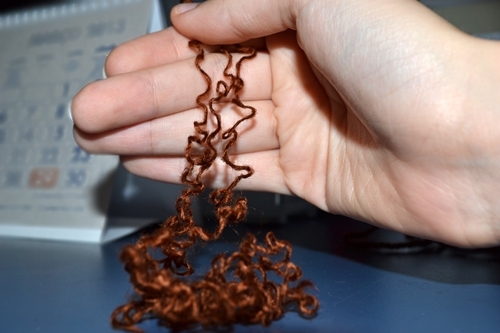 – If you will make a big doll, this width of yarn it is ok, but if you intend to do a small doll it won’t fit good. So, if you intend to do a small doll, I have a tip for you! 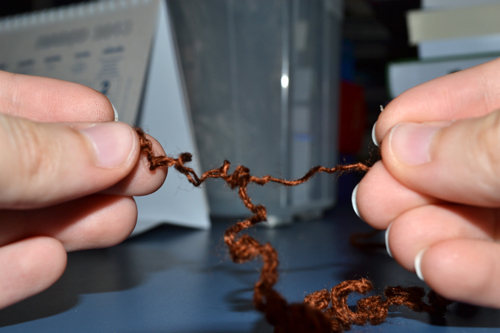 ^^ When you finish the steps above, untangle the yarn, like on the photo bellow. This will make the hair thinner, fitting better for a small doll. 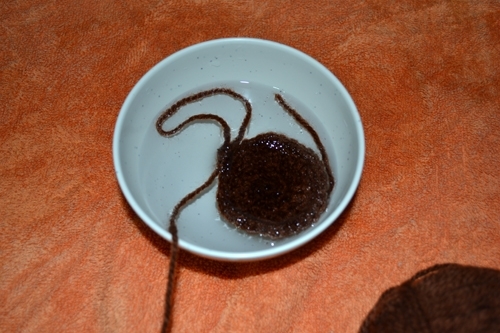 When I untangled my yarn, I got three thinner yarns. Thank you so much for sharing this. I will definitely be trying it! Can you give me any ideas on how to add hair to toys without either latch hooking it or tying it on strand by strand. 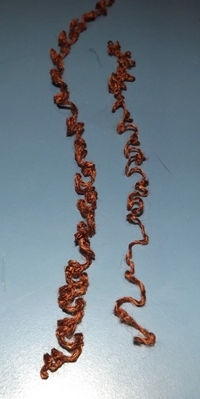 I have seen some crocheted dolls with what looks like their hair added from the wrong side, presumably before the head is closed up for good? Claire, I’m so sorry but I have no idea :( I really would like to know another way to add hair to doll, because it is so annoying to attach strand by strand… Well, I will think about a solution and see if I find anything on the internet. If I have any idea I will send you an e-mail! And, please, if you discover a solution, I would like to know, lol. Hey! This is so cool, thanks a bunch! 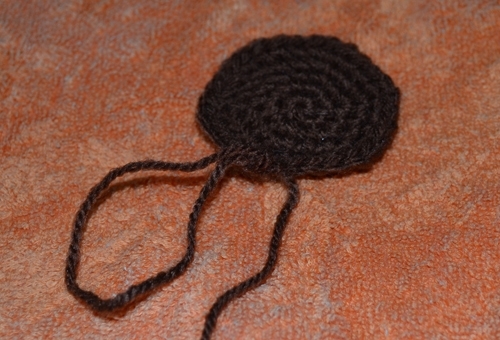 Crochet a wig cap, the same color as the hair and then attach the hair to it. It is much easier, and looks nicer.